When someone visits www.calderdalechiropractic.co.uk we do not make any attempt to find out who has visited our site. If you choose to send us a message your email address will be recorded until your query has been replied to it is then removed from all databases. As part of the registration process for our e-newsletter, we collect personal information. 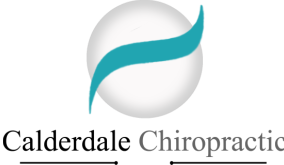 We will not contact you through this means unless you have positively asked us to do so by ticking the ‘I agree to opt in and be contacted via email with offers and news from Calderdale Chiropractic on the first visit paperwork. We don't rent or trade email lists with other organisations and businesses. We use a third-party provider, MailChimp, to deliver our newsletter. We gather statistics around email opening and clicks using industry standard technologies to help us monitor and improve our e-newsletter. For more information, please see MailChimp’s privacy notice. You can unsubscribe to general mailings at any time of the day or night by clicking the unsubscribe link at the bottom of any of our emails or by emailing our data protection officer Jenette Gough. To contact you if we need to obtain or provide additional information; To check our records are right and to check every now and then that you’re happy and satisfied. By consenting to this privacy notice you are giving us permission to process your personal data specifically for the purposes identified. You are also consent for Calderdale Chiropractic to hold this data for the minimum length of time as legally required. Consent is required for Calderdale Chiropractic to process personal data, and is requested on the first visit form. Where we are asking you for sensitive personal data we will always tell you how the information will be used on request. You are entitled to view, amend, or delete the personal information that we hold. You are entitled to view medical data that we hold. Email your request to our data protection officer Jenette Gough. Access to Your Personal InformationYou are entitled to access the personal information that we hold. Email your request to our data protection officer Jenette Gough. Changes to this Privacy NoticeWe keep our privacy notice under regular review. This privacy notice was last updated on 18th May 2018.